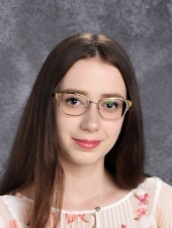 MMI Preparatory School sophomore Katherine Lewandowski captured first place in the District 11 Veterans of Foreign Wars (VFW) Voice of Democracy Audio-Essay Scholarship Competition for her essay on this year’s theme, “Why My Vote Matters.” Lewandowski is the daughter of Nancy and James Lewandowski of Mountaintop. For the competition, students recorded an original three-to-five-minute essay and submitted the audio file and a typed essay. Essays were judged on originality, content, and delivery. Lewandowski will attend the Department of Pennsylvania’s VFW Mid-Winter Voice of Democracy Awards banquet, where the state winner will be announced and have their essay entered in the national competition. State winners will honored during a trip to Washington, D.C. in March. Since 1947, the Voice of Democracy has been the VFW’s premier scholarship program. Each year, nearly 40,000 high school students compete for more than $2 million in scholarships and incentives.